Why do we have a hard time purchasing international travel insurance, actually any insurance? There are three major reasons. First, we cannot see the benefits. When we go to Amazon or the Apple store we see the product we are purchasing. We purchase the emotional and physical benefits derived after we purchase that product. However, with insurance we cannot see the benefits. But we can at Good Neighbor Insurance. We have been in business since 1997. We know the peace of mind our international travel insurance and international career insurance provides to our clients. I had two of my left toes broken due an accident on one of my scuba diving trips. Thankfully I did not have to be evacuated. But knowing I had that my peace of mind tucked into my travel bag, I did not have added worry. Lastly, we do not think about the cost of medical care overseas. Yes, in many countries outside the U.S. medical cost is a fraction of the cost then here in the U.S. But what if you wanted to be flown to a better hospital or flown back to the U.S? Would you like that choice? Would you prefer being in a hospital far away from family or friends? Even though I never used my international travel insurance (except for last year) it provided me peace of mind. I realized that if I had to use my travel insurance my international insurance company would handle the cost. Do you know that a medical evacuation cost at least 20,000USD? On average, an emergency evacuation cost between 40,000USD to 60,000USD. I love to ask our clients this question when they say travel insurance cost too much? How much did you spend for your overseas trip? Isn’t a dollar or so a day for travel insurance worth it; for sure, for your peace of mind? 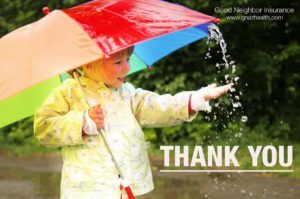 We are on your side here at Good Neighbor Insurance. We understand you worked hard for your hard earned dollars. We have too! We hate to spend money on something we will never use. But rest assured, your brain will not go into overdrive worrying about the worst case scenario with that international travel insurance policy close to your passport. Give your brain a rest. Your brain too wants to go on vacation! Give your brain the gift of peace of mind. You deserve it! Your brain does too! Good Neighbor Insurance provides a variety of international travel insurance plans https://www.gninsurance.com/international-travel-health-insurance-plans/ to fit your needs. You may purchase online and receive your travel insurance policy in under 30 seconds of your purchase. Or email one of our team members at info@gninsurance.com. For the sports enthusiast check out our Diplomat International travel insurance at https://www.gninsurance.com/diplomat-international-travel-medical-insurance/. Call our international travel insurance licensed team members here at 866-636-9100 or our Arizona phone number at 480-633-9500. Remember – your brain deserves a stress free vacation too! Safe travels – from your Good Neighbor Insurance team here in Phoenix, Arizona!